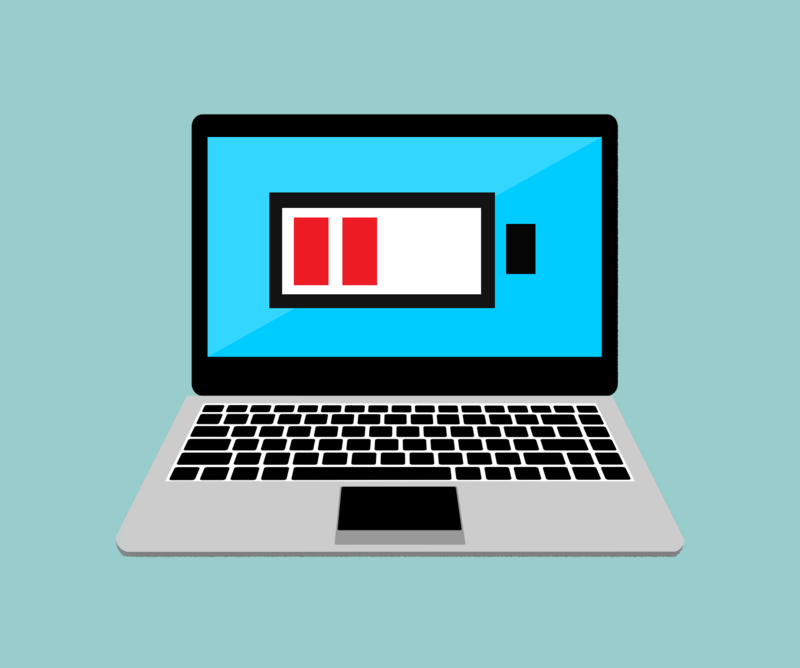 Our laptop battery doesn't charge to its full capacity with more and more charge cycles. 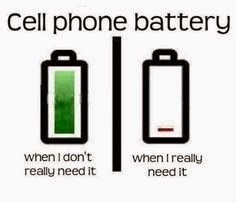 And along with the time it loses its capacity and one day your laptop gets converted to a desktop( :( Not literally.. ) that means Your battery will be dead or very weak. the percentage to which your battery is charging. Actually its a secret Diagnostics Tool Provided by Windows. some advice about your battery life. 1) In start menu search for "cmd" In results right click to "Command prompt" and click "Run as Administrator"
It will take 1 minute to analyze battery performance and generate the report. You will see this line After successfully completing the process "See C:\Energy_Report.html for more details"
4) In Power Efficiency Diagnostics Report Check the warnings and errors. 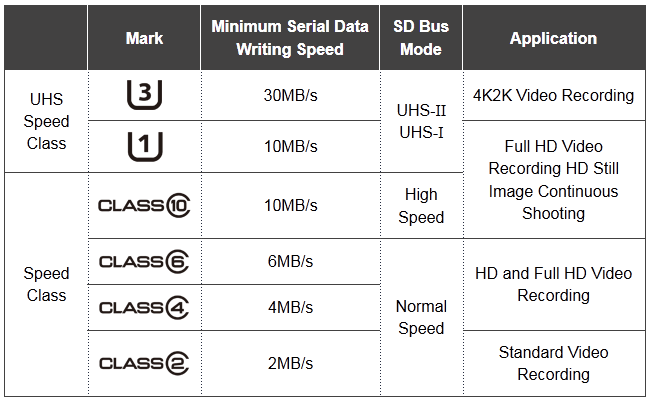 For newer Laptops the last charge capacity will be near to full capacity and older ones will show huge decrease in battery capacity. Watch this image it shows a newer battery on left side and an older one in right side. So Now you can check how your battery is performing. In one of my next article I will tell you some very useful tips to make battery live longer. If Yes- Share it with your friends cause keeping the knowledge only with you and not sharing it is pretty bad!! As the answer is Yes lets get know about this more in this article we are going to see How to access Laptop from Mobile in easy and simple way without any cost.You will think that you will need to have internet with huge speed.In this case if your laptop is at long distance from you like out of WI-FI range then only you will need a internet connection on your both devices. Not only you can play the content but also you can have the meetings,conference with employes. In above I mentioned wi-fi range, Yes its all going to happen on your Laptop and Mobile wifi connection without a penny . Now I think that you are more excited Lets see without wasting time. "Technology has to be invented or adopted - Jared Diamond "
Step 01 : To do this you will need a software named " Team Viewer" ,I think you all are known and familiar to this software. 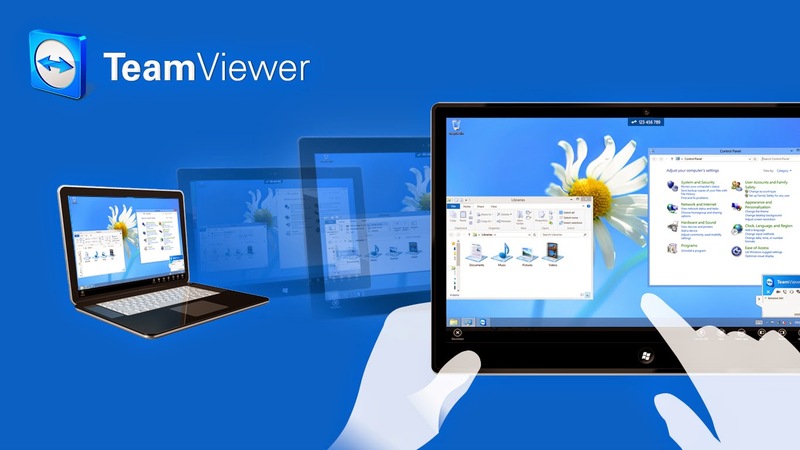 Its compatible with all versions of Microsoft Operating System.Its all about .exe file of Team Viewer but what about mobile we can not run .exe file in mobile so to handle this there is a app of Team Viewer in Play Store .You can download team viewer software from here TeamViewer. If your Laptop is connected to internet then automatically user id and password will get filled automatically on desktop shown above in desktop version. 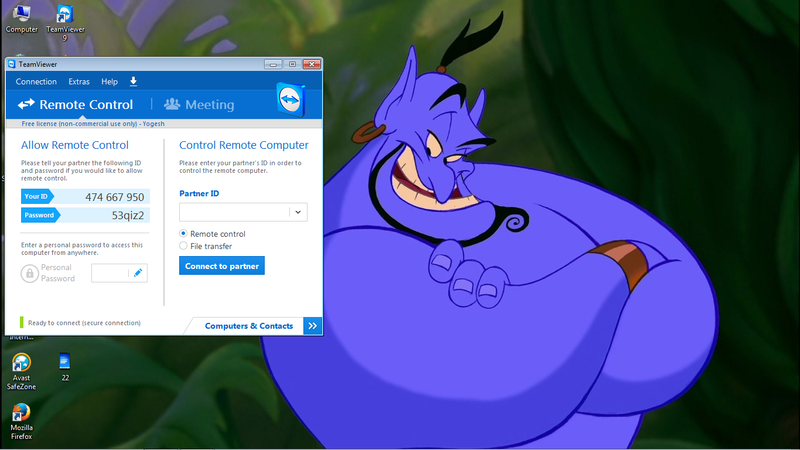 On laptop software click on extras then Options in General Menu you will get incoming Lan connections make it Accept. Now you will get your user id and password. 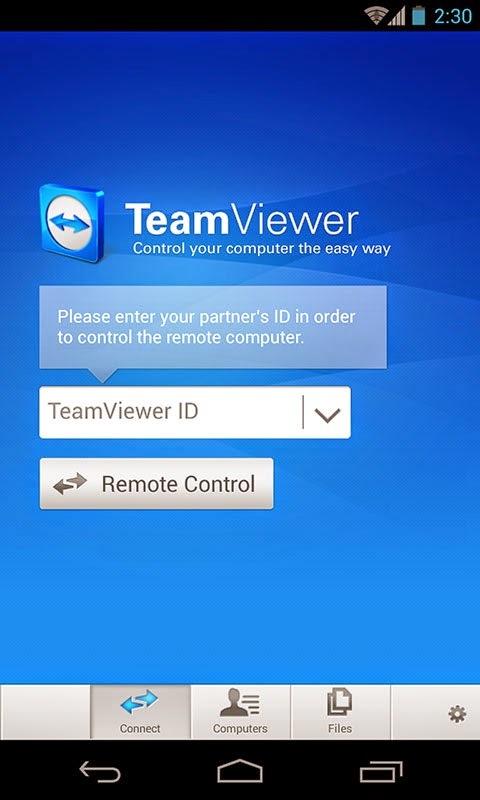 Step 04 : Now its time to get connect and handle Laptop on your mobile put the user id of laptop into mobile where TeamViewer partners id is asked. Now click on Remote control on mobile. After that we will get asked for password now put password shown below user id of laptop in mobile. 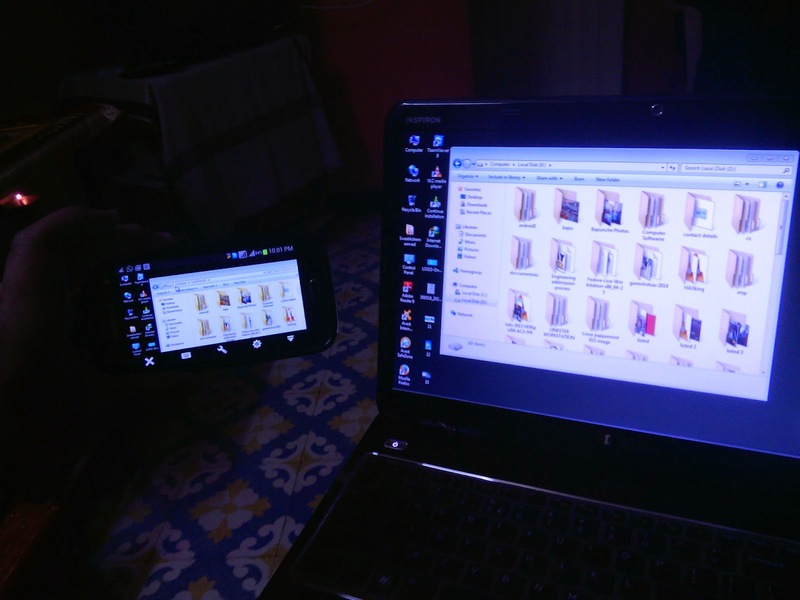 Here its wait for a while and the laptop screen will appear on mobile .Sometimes your laptop screen wallpaper will get change don't get worried about it. In settings you can arrange the quality , speed etc. we can do alot things using team viewer software its a damn good software.one more thing its not going to harm your mobile.Access things and Enjoy . if you like share this article with maximum people. 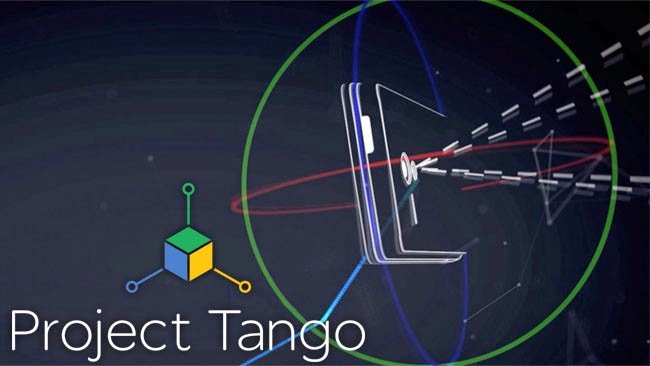 Google really going to surprise this year with their latest technology.Google was working on its secret project that is Tango and good news for all its in last stage Lets have a look on Project Tango. 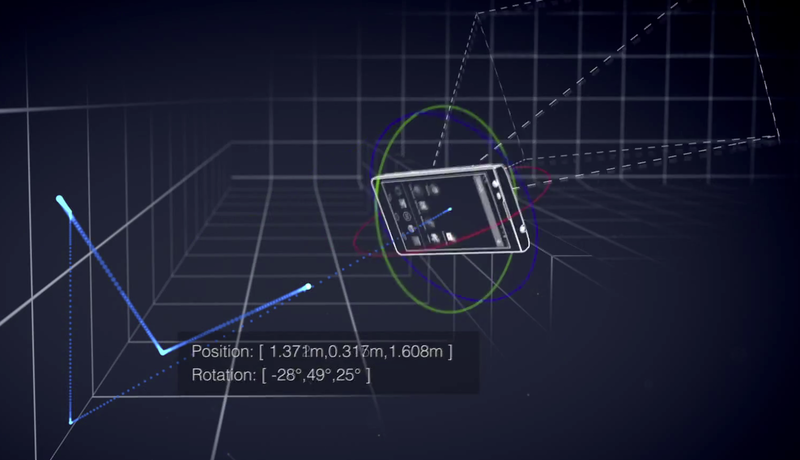 Project Tango is a two and a half-year old smartphone and tablet 3D mapping enterprise. 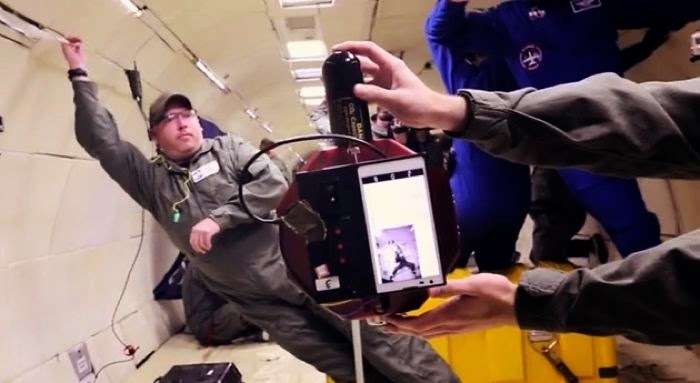 Google describes the goal of Project Tango as to "give mobile devices a human-scale understanding of space and motion". Basically, Google has developed a form of augmented reality technology which allows a mobile device to make a 3D scan of the objects and people around them in real-time and produce a 3D model. Paul Furgale, deputy director of Autonomous Systems Lab, ETH Zurich, said Project Tango is "producing a solution to the visual navigation problem for how devices stay localised in 3D spaces" - e.g. sidestepping the need for GPS and creating an independent 3D model. Google worked with universities, research labs and industrial partners to work out how to best package the technology for consumer devices, and created a 5-inch smartphone prototype with in-built infrared cameras and a 7-inch tablet with two back cameras for the developer community to test last year. The smartphone and tablet devices are equipped with sensors which make more than 250,000 measurements a second to create a 3D model of the space around you. The devices could be used to create a new form of maps through the 3D model, giving you a more accurate sense of where you're supposed to go than current location-based map apps. This could be particularly useful for search and rescue teams, particularly if a building has collapsed and prior maps are now invalid. It could also be used to build accurate 3D models before 3D printing, holding potentially huge implications for the future of product manufacturing. Other examples Google gives include using one of the devices to capture the dimensions of your home before going furniture shopping, helping the visually-impaired to navigate unfamiliar indoor spaces and for scanning supermarkets to work out where the product you're searching for is shelved. Google is rumoured to be partnering with LG to produce consumer versions of the prototype devices to go on sale later this year. Sometimes we want to secure some files and don't want anyone to access them. 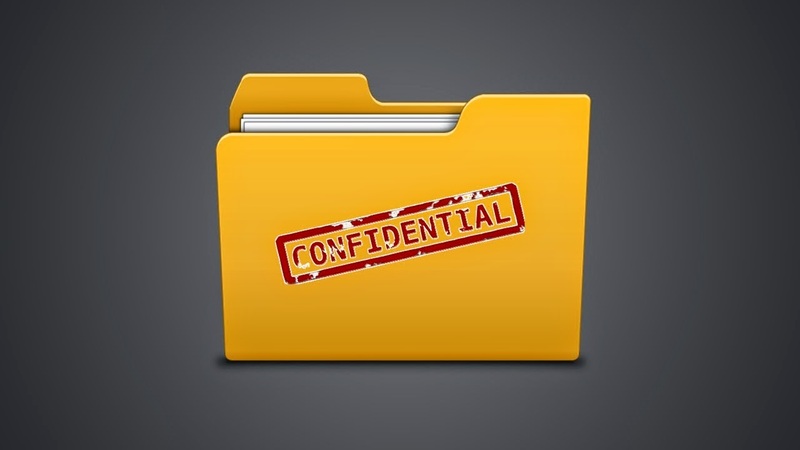 Making these files hidden is the simple but unsecure method. Anyone can view them and make changes to them. I tried many softwares but most of them were simply of no use with lots of ads and bulky. This software is free however provides some extra cool features after getting premium, but the free version is more than sufficient. Install the software and once it gets complete select "New volume"
You can either create a single big volume or multiple smaller volumes with different types of files. Enter the path where you want this volume to be created and give it a name. You will see a checkbox saying "preinitialize volume with random data", Let it be checked as by default. 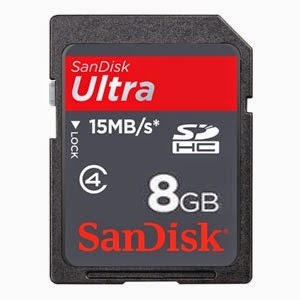 It will fill the remaining space of your volume with random data increasing the measures of security. Your protected volume won't be there in my computer now. To access this volume go to the path you selected in first step. Enter password and you will be able to access your files. In this way your important folders will be kept very safe and no one could view or change them. Keep your password strong and do not forget it. In the future I will share an article about managing Passwords and their security. If you like this article and want more of such amazing tips and tricks, do share and follow our blog. know some tricks like this one you can post your article on this blog. Simply contct to admin@webious.in about your article subject and you can become an author of this blog. Our comments section is always open for your queries and reviews. It comes with a 4.5-inch QHD display, a quad-core MediaTek Cortex A7 processor clocked at 1.3GHz and 1GB of RAM. It also features a 5-megapixel front camera and an 8-megapixel rear camera. 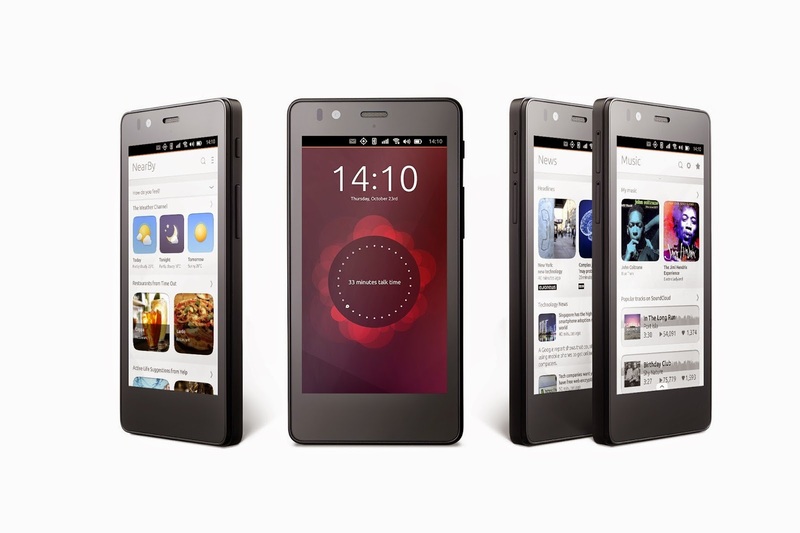 Ubuntu Phone looks set to shake up the way we interact with our smartphones and the apps we've installed on them. Rather than laying out all the apps separately in grids as with Android and iOS, Ubuntu Phone is bringing in the revolutionary idea of "Scopes," which as Cristian Parrino, VP of Mobile at Canonical claims, is "a gamechanger"
Ubuntu Phone is looking to integrate content and services via "Scopes," which will integrate various apps and services into an easy to use interface, so users don't have to scroll through screens of icons. It will go on sale exclusively across Europe for 169.90 (around £127, $194, AU$249) on Monday 9 February in a flash sale. The website for the sale and the exact time the virtual doors will open will be revealed on @Ubuntu and @bqreaders on Twitter. If you want to get your hands on one, you'll need to be quick as there will only be a limited amount of BQ Aquaris E4.5 Ubuntu Edition devices available on Monday. Rodrigo del Prado, deputy director general of BQ, said that further flash sales, and then more widespread availability across Europe will follow in the next two to three weeks. Thank you for reading and please share if you like it. Our comments section is always open for your comments and queries. we get sometime more trouble with our gmail account due to some cause we access our gmail account through cyber cafe, using friends mobile,laptop etc at this situation in hurry we don't logout our gmail account this cause hacking our personal info,database or any other information. To prevent this we got a trick , we can use the facility provided by Google i.e " Two Step Verification "
What is Two Step verification ? 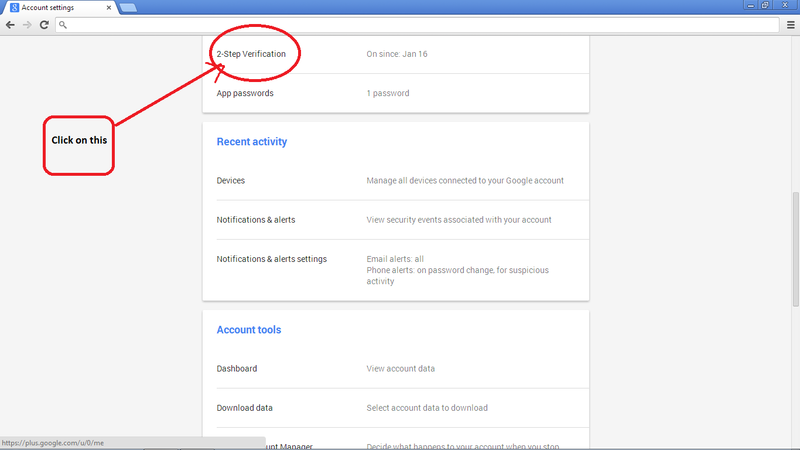 Two Step verification is the facility by using it we can patch (connect ) our mobile number to our gmail account.This prov ides whenever we will go to access or open our gmail account Google will send a verification code to our registered mobile then using this code we will get log in to Gmail account. code on mobile its simple as Normal message arrives on mobile. How to set this to Gmail ? Step 1 : first login to your Gmail account with your username and password.. Step 2: Now At right corner where your profile photo appears click on profile photo or another hint click there from you get sign out your gmail account there click on a "Account setting" a new screen will appear. 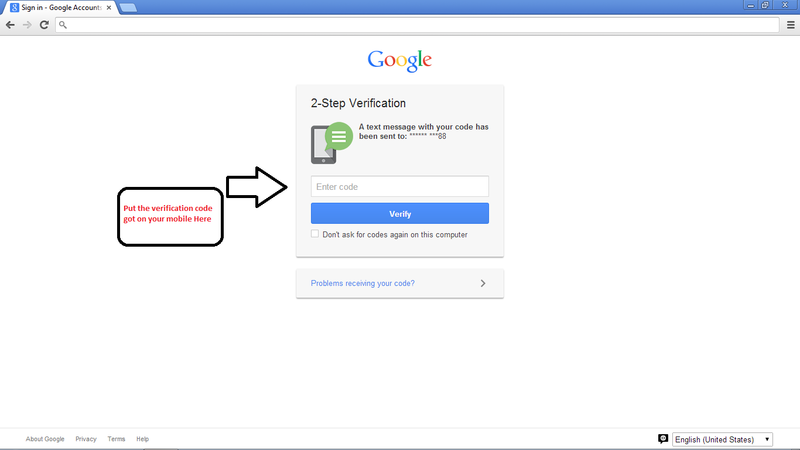 Step 4 : check out your mobile your code will be in your message box put that code in shown above and click on verify.. Step 5 : You will get your mails in front of you. 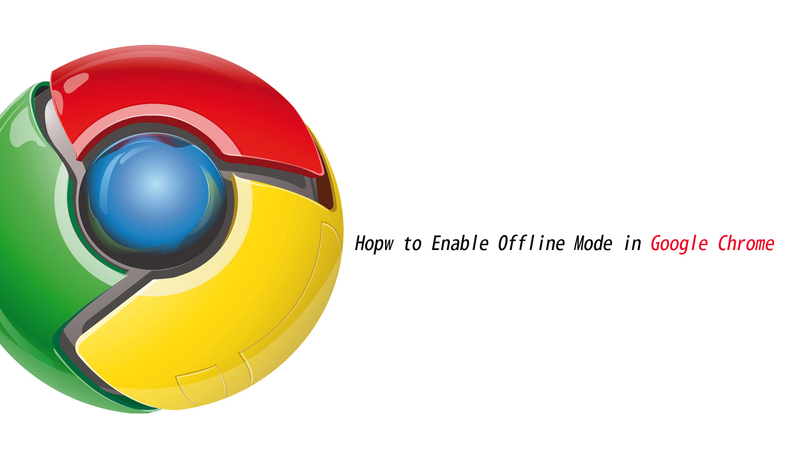 Chrome can be used in offline mode!!! information like an address or contact number or tutorials or it can be anything like that. also there is another way to download the whole site content using some tools like Internet download manager or Wget (By the way Its called as web-ripping). 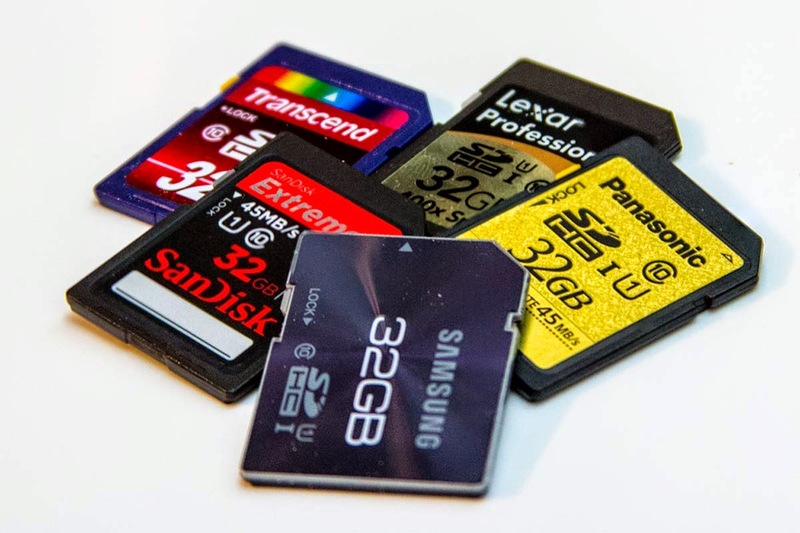 why to waste so much data and space if we can do that the easy (actually very easy) way. So whats the trick , here's how can you do that but first let me tell you something about cache. What is this, so much links and giving a closer look will show you that these are the sites you visit. just to help you surf the net with quick access to your regular sites. If you are an advanced web-user and clean off your caches at regular intervals then you wont get very much links also check that after clicking some links it shows very large content. Its the computers language and it saves so much space by storing it like that. Its also storing some images like that in the same way. settings in chrome to access it in our language. So how to do that, lets get to know. These are some experimental features of chrome.Do not change anything other than what I say. Search for the “Enable Offline Load Stale Button” option. Click “Enable” against the option and restart your browser. Now each time when you try to access a site without internet and if you have visited that site already then you will see a button showing you to "Load a Saved Copy"
Click it and you will see the page. 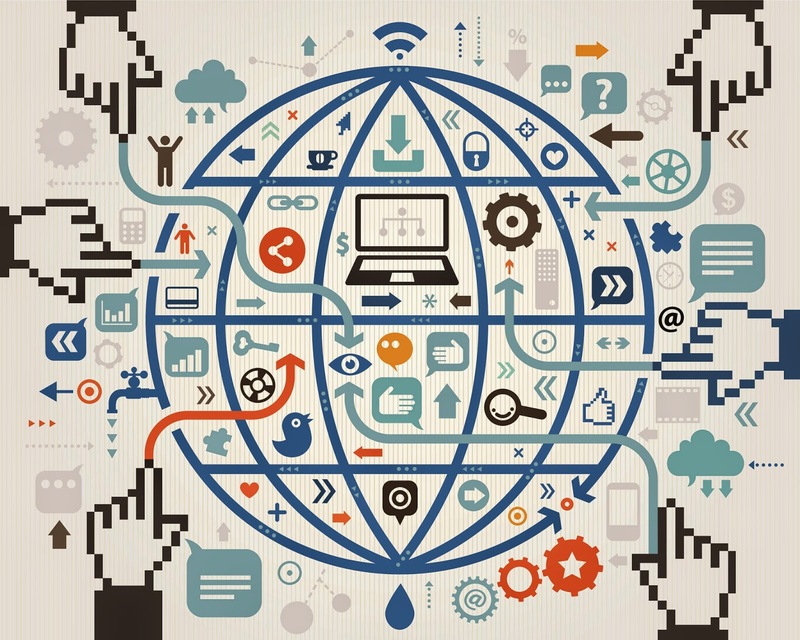 have internet and do check all the pages so that those will get cached and you will be just good to go. but you can check going offline and see if you are getting the cached site. Guys, please don't keep this knowledge to yourself share it with your friends. And feel free to ask your queries through comments.Share this article if you liked this and subscribe our Tech BLOG to get all the updates notification to your mail.